The namesake for this site is currently a freelance writer / English educator going back to school to get his teaching certificate because sometimes bills need to get paid. And you can’t always travel the world. Aside from the weekly web series Distilled Spirits, there will be formulated entries on passably serious topics [cold coffee], and casual features on topics ranging from San Francisco, spicy food, baseball, to anything that isn’t an attempt to justify my liberal arts degrees [warm beer]. 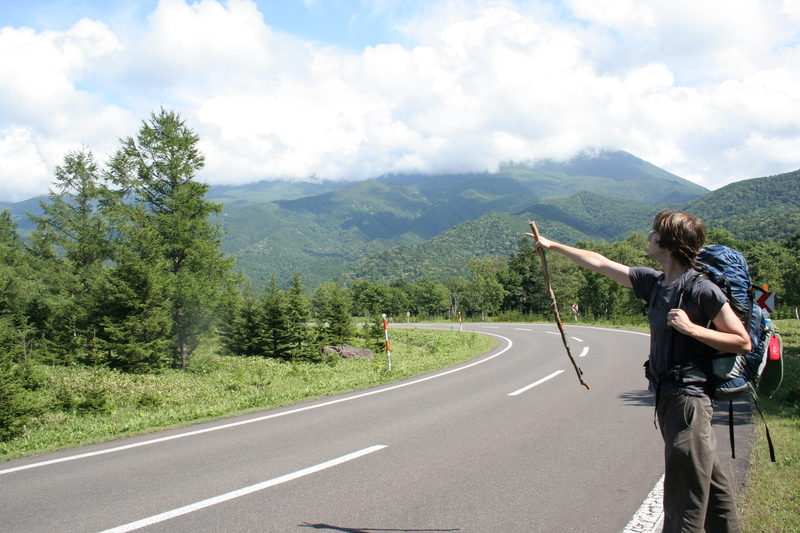 Hitchhike Hokkaido! The best Japan island reminds me of California. Hi there my name is Kris and I am a digital marketer. I help my client�s sites bring in more traffic by helping their site become the most authoritative to the search engines. Everyone tries to tell you that they will get you on the first page of google next week. Most of the time they are just telling you what you want to hear, but some can actually do it. The only problem is that the tactics they would perform on your site will get on the top of Google quickly but will also eventually get you a penalty from Google as well. Once you have a penalty from Google it is extremely difficult to get on top the search engines ever again. The consultation is completely free and there is not any pressure or strings attached or �tricks�to make you use my services. My thinking is pretty straight forward, I provide a lot of value with these consultations and I know that some will not use my services in the end, which is ok. Others will need my help and wish to use my services. Either way I am always happy to help other business owners understand the changing world of online marketing and how they can beat their competitors. I�m Frank, I�m a website designer and e-commerce consultant and if I�m some what intrusive by getting on your contact forms to reach you to do business, at this point, I would like to sincerely apologize for this informal approach. It sure beats having to play cat and mouse with the gatekeeper. A lot of good opportunities are lost this way. Anyway, kidding aside, I just would like to air my two cents about your website as to how it�s performing. As it is, it�s marvelous. But you for a fact know that the wicked never rest and that the new will always break ground andbe revealed to attract more sales from the human traffic that youget. The designs I do not only captivate but also maximizes the use of the website by funneling in more sales activity for a company and inculcates a lasting sense of recall, for the advertising aspect. I would very much like to interface with you pretty soon as I�m giving out FREE ANALYSES /CONSULTATION as to how all this comes about. Please, don�t hesitate in responding to me. I only would like to do business, I mean nothing ill. I can assure you, something really good and beneficial for your business will come out of this, if only you would give it a try.